Tweed Valley Mountain Rescue will held lead the training. 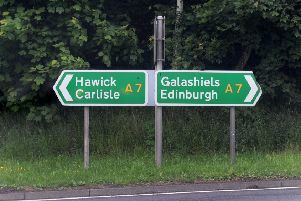 Hawick’s new community resilience group is gearing up for its first training exercise next month, in the form of a simulated missing persons search. Aided by Police Scotland and the Tweed Valley Mountain Rescue Team, volunteers meeting at the Salvation Army hall in Croft Road at 9.45am on Saturday, April 7, can register before being sent out on a mock search scheduled to conclude with coffee and a debrief by 12.30pm. Resilience co-ordinator Gordon Short is urging anyone fit and able to go along. “This group of volunteers make themselves available to be called upon by the police in the event of an incident to assist them in times of need or emergency,” he said.